In the year 2005 Rukmini Educational Charitable Trust which is a public Charitable Trust was set up with the aim of promoting activities in the areas of Arts Commerce Education, Engineering Environmental Science Management Science and Technology. This Trust later has established the REVA Group of Educational Institutions which comprises of REVA Institutes Bangalore and REVA Institute of Technology and Management. 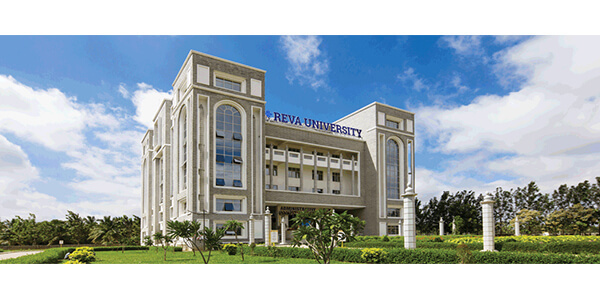 Now REVA University Bangalore is the latest one. REVA Group of Educational Institutions founded under the aegis of Rukmini Educational Charitable Trust is led by Shri P. Shyama Raju which is founder chairman. This is located in located in Kattigenahalli, Ganganagar and Sanjaynagar in Bangalore Karnataka. The 35 acres land of Kattigenahalli campus has International level standard amenities. This campus is near to the international airport and is very easy for international students taking admissions. REVA University Bangalore believes in the education where student learning process is the main thing. The library in REVA University Bangalore is a house of treasure for information for the candidates at REVA Institutes Bangalore and has a large number of books in various domians of education. The library covers a block which is 607 sq mts in area. The seminar hall accommodates more than 250 students in the campus where workshops, seminars, guest lectures and other important things are arranged. Around 22 buses operate everyday and cover all the areas of the Bangalore. Around 1650 students and 140 staff use this facility. An incubation centers is planned inside the campus to undertake small-scale projects and offer consultancy services as faculty keep an aim to develop skills of students as per industry demands. So students prefer to study here and the courses like B Tech, M Tech, MBA, BBA, BCA, MCA, B Com admissions are available. As the competation is more students take fee structure and also go for management quota, nri quota direct admission. Active placement cell of REVA University Bangalore places students in various companies. Vision of our university is to be the top preferred choice of companies for Campus recruitment in India. We consistently encourage the students by matching them to the needs of corporate world. Placement for the academic year for RISM was 91%. Aricent TCS Airwatch Capgemini NTT Data Razor Think and Amazon are the companies for placement.